What Can Be Classified As Soft Costs of a Project? 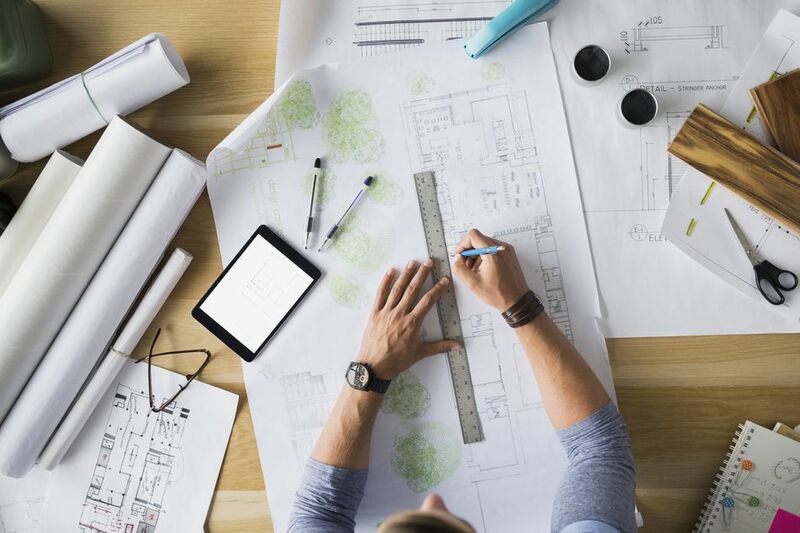 The architectural and design fee includes costs of feasibility studies, master planning, design work, and related costs incurred throughout the project. These costs often vary by the project size and tend to represent a smaller percentage of total soft costs on larger projects. Inspection fees include the cost of building inspections and fees for permits paid to the local government. These fees must be paid to gain authorization for the project. They can be related to permitting applications, costs to file permits, occupancy ​permits, and related transactions. Land and real estate costs are associated with the legal process, appraisal, real estate, land acquisition, assessments, and improvements to land. Also included are costs for real estate research, surveying plats, lot assessment, and transaction costs related to easements and rights of way (ROWs). Land for temporary staging areas required along the route or off-site may present additional real estate costs. Equipment costs categorized as soft costs can include equipment, supplies, and services that are not directly related to the final project delivery. This may include office equipment, office trailers, cellphones, radio communication systems, and staging area equipment. Almost every financial transaction involves some type of fee, and these can be classified as soft costs. Other soft costs in this category may include loan-generated interest, bank transaction fees, and accounting expenses; costs of accounting and timekeeping software; and fees such as construction loan commitment fees, mortgage broker fees, and permanent commitment fees. Project management costs include compensation for staff required to handle all construction-related documentation and drawings as well as security and safety staff, temporary staffing, runners, and all supporting staff, even when they are not located on-site. This is very important if you have rates that include the cost of principals and other management staff from a company's headquarters. Insurance costs may encompass all required insurance for the completion of the construction project as well as fees or dues for bid bonds, payment bonds, professional liability insurance, performance bonds, and subguard policies. Insurance costs are based on the total project cost and may be affected by the insured's past performance. Taxes on construction projects may ​be assessed by state and local agencies, depending on the amount of money being invested in the construction. Taxes based on material and labor rates can significantly increase the cost of the project if they are not managed properly. Marketing and advertising costs may include brochures and other marketing products, public relations, and general marketing campaigns. Projects may also use open houses and community-related activities to engage with neighbors and promote community discussion and buy-in.